One of the benefits of being a traveling teacher is getting exposed to different teaching philosophies. I teach in at least 3 schools each year and when you factor in all the schools I’ve taught in, I’ve worked closely with 9 different elementary music teachers. When it comes to teaching recorder, I’ve tried Recorder Karate, Mr. Everybody, Recorder Resource Kit, etc., but none of them felt like they really fit my teaching style or personality. Two years ago I was presented with the opportunity I liken to those old “choose your own adventure” books. One of the teachers I was working with (for the first time) didn’t use a pre-made recorder system. All she asked was that the kids I saw learn the same notes in the same order she was teaching at approximately the same time (that way they’d end up at the same place at the end of the year). At first I was overwhelmed – where would I get my material? What songs would I choose? 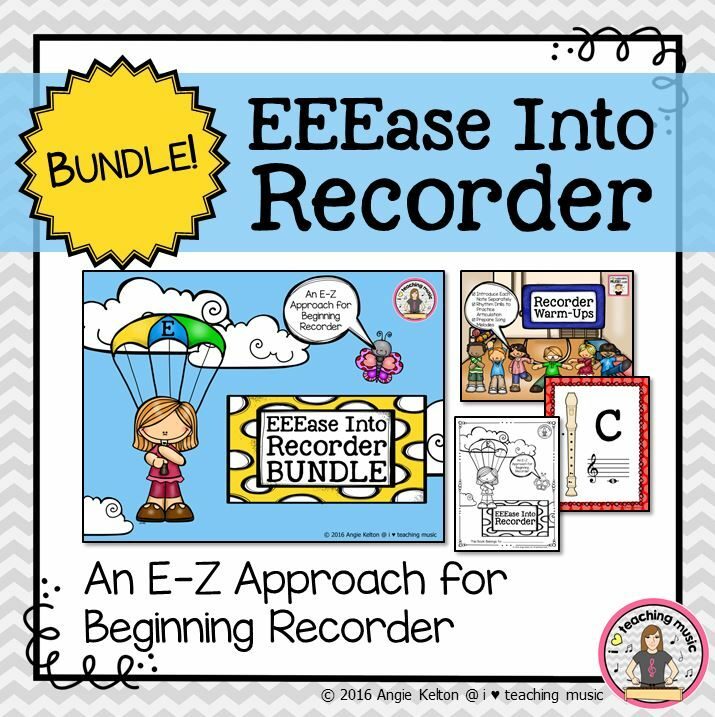 Once I got into it, though, I found that I loved this style of teaching recorder – it matches my piecemeal, make it my own, make it work for my students’ needs kind of curriculum. In the end, we traded songs and suggestions, but each of us made the material fit for our personalities and the kiddos we had. At this particular school, the 3rd graders get a taste of recorder at the end of the year (last 6 weeks or so) and then hit recorder hard in 4th grade. The 4th graders we had two years ago had already learned B, A, & G the year before. We chose to add in low E & D next to get their right hands involved. At the end of that same year, the teacher I was working with decided to try something new and started her 3rd graders on low E. It was a really successful venture, so I was excited to have the same opportunity come April last year. Man, let me tell you that I am a total convert. I’m in charge of the 4th graders at another school this year and I was so impressed with the results I got last year that I decided to start these kiddos on low E (this particular school only plays recorder in 4th grade). It engages both of their hands right from the start. No lazy right hands to be found. Is it harder to “cover holes completely” when first starting out? Yes, there are 5 fingers + your thumb to cover. Is it squeakier at the beginning? Oh yeah, but soooo worth it knowing they’ll already have trained their right hand when we start playing higher notes. It encourages better breath control. You cannot overblow low E and scrape by – It. Will. Squeak. You can overblow a B, and it’ll still sound like a B (for the most part). Starting with a low note forces students to master “barely blow” from the start and really know what it means. It may take them a lesson or two longer to master their first note, but it’s well worth having them master good habits now (and not have to re-teach later). It teaches them to be better listeners. Today was day 2 with my 4th grade recorder classes. Day 1 consisted of a lot of talking – passing out recorders, routines, rest position, ready position, playing position, left hand on top, cover holes completely, etc. By the end of class, we only had 3-5 minutes to really do any playing. They squeaked – oh man, they squeaked. But they could all tell it was an awful sound and that it was nowhere near the low note I played. Today, they squeaked for the first 10 minutes, but once their fingers fell into place they started to listen. Boys vs. girls, odds vs. evens, Jan-June vs. July-Dec birthdays – they competed for who could have the softer tone/who could be closer to that nice soft low E. By the end of Day 2, I had kids listening to themselves in small groups, reacting to their own sound, fixing problems mid-breath. It. Was. Awesome. It allows students to start playing songs that mimic the pattern in which they learned to sing. By and large, it seems like the vast majority of music curriculums start off with students focusing on So-Mi melodies. By starting on E, and adding G as the second note, students are able to revisit Kindergarten and 1st grade songs. Add in A next, and you’ve got Mi-So-La songs you can explore. Oooh, and I just finished making my first infographic – what do you think? Just to make things clear, I want to make sure no one thinks I’m bashing teachers who start on B-A-G or even those that start on C-A. If what you’re doing works for you and your students – keep on doing what you’ve been doing. If you’re frustrated with what you’ve tried in the past and/or you’re just looking for a change, I suggest giving low E a try. 🙂 At some point I will blog about the song & activity sequence that has worked for me. Update: Interested in a resource that starts your kids on E? 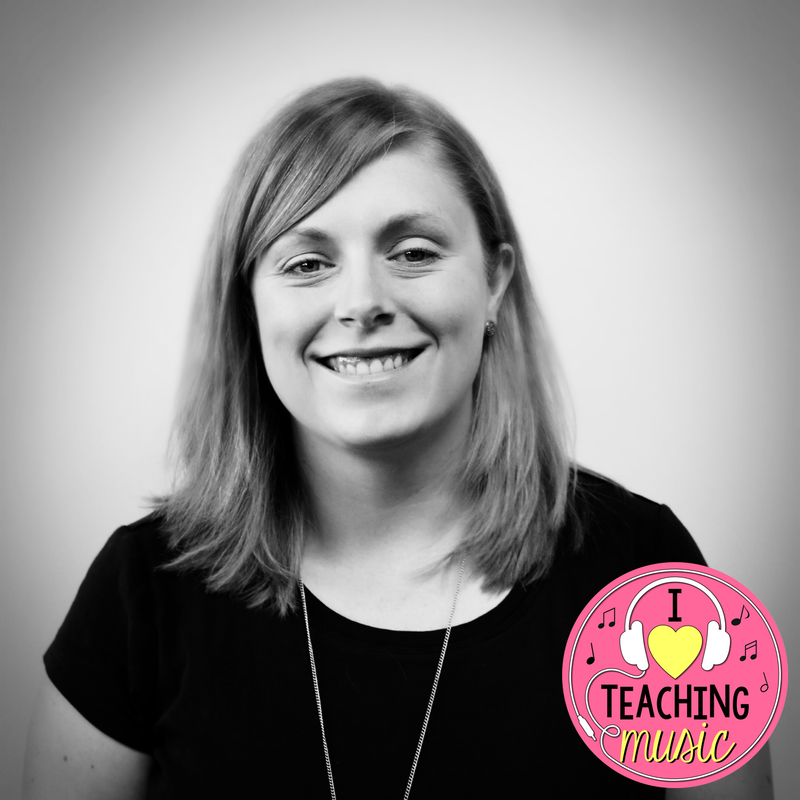 Check out my EEEase into Recorder resource on Teachers Pay Teachers. *Special thanks to N.K. for encouraging me to do my own thing, introducing me to starting on low E, and continuing to share ideas over the last 2+ years. **Infographic made at http://www.easel.ly/ – It was time consuming, but pretty easy! ***Recorder clipart courtesy of Dancing Crayon Designs. Oh my goodness, what a great idea… I’ve only ever taught B-A-G but you presented so many compelling reasons why not to start there. 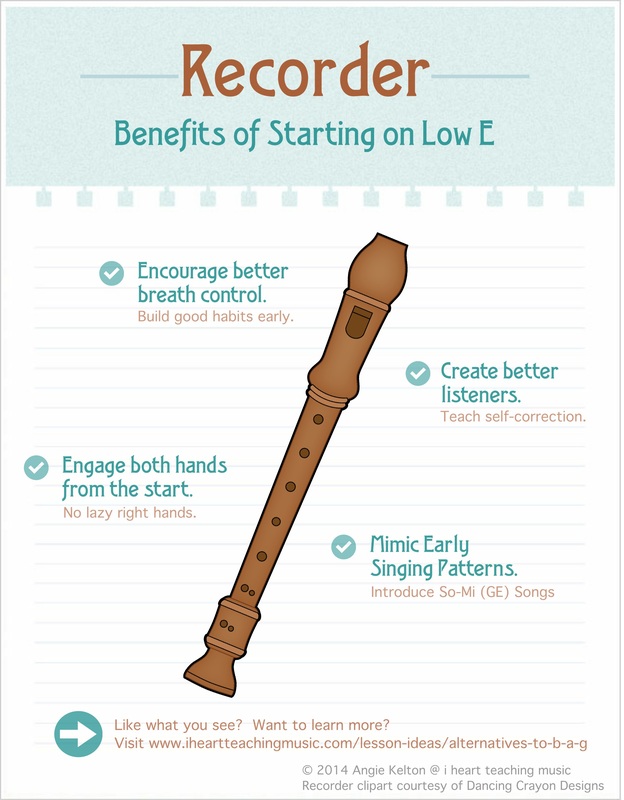 In my schools I only have the ability to do recorder with 3rd graders… I wonder how well it would work for this grade… Maybe this is the year to try! As a traveling teacher, my schools start recorder at different points. I’ve started kids on E at the beginning of 4th grade, but also at the end of 3rd. I know that 2nd semester 3rd graders can definitely do it. 1st semester may be a little slower, but I still think they could master it, given the time. If you have a go at it, I would love to hear your results! Good luck! I am diggin’ this philosophy of yours! I also intro recorder at my school at mid 3rd grade and hit hard in 4th. I used a karate based packet I got off pinterest to give a try this year. It worked well, but I am always up for something new. I think my kids who aren’t as strong reading are timid and could use a push. The benefits would be astounding in terms of the use of both hands from the start. Can’t wait to see what your songs and activities are! Please do share! Rach, did you end up teaching it this way this past year?? I’ve only ever started with B-A-G and just started doing Recorder Karate this year, but nothing has ever totally stuck and they ALWAYS want to play B-A-G with their right hand and not their left! You’ve made me really rethink what I’m doing- what a great idea! Maybe I’ll try it your way this year to see if it makes a difference! Starting with E5 on descant recorders sounds like a very good thing for the reasons mentioned. It will give the pupils better air flow control, hand coordination, playing posture and hole covering precision from the beginning. 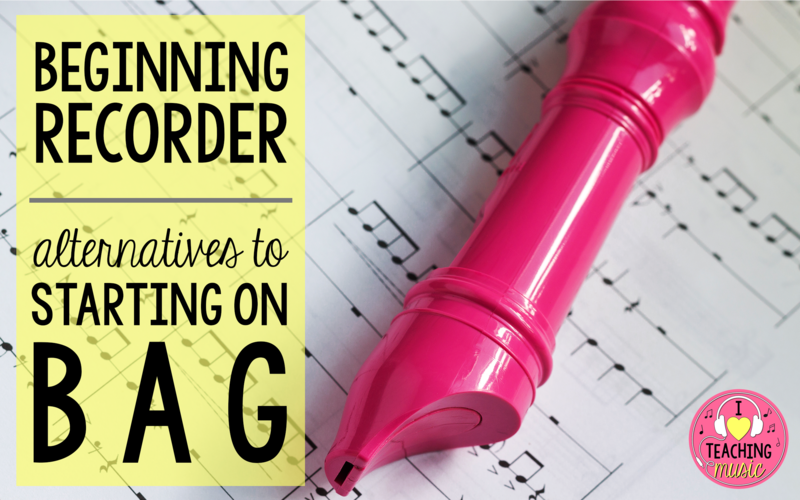 When I started playing the recorder at age 7 it was with the B-A-G approach. We then progressed with C6, D6, F5, E5, D5 and C5. How old is this approach and who invented it? C6, A5, G5, B5, E5 is another progression I have used in teaching and that is found in Carl-Bertil Agnestigs method book “Tjoflöjt”.